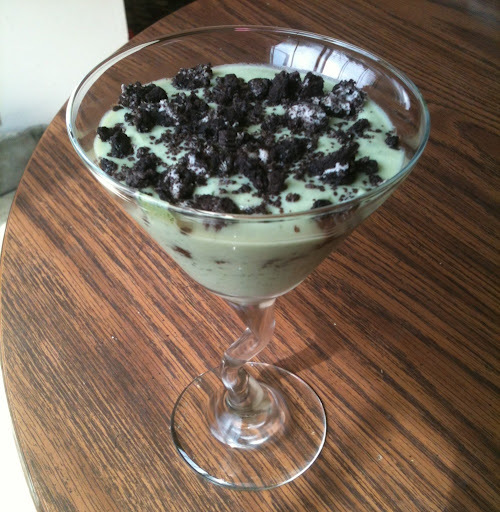 I made this dessert the other night and will definitely be making it again. 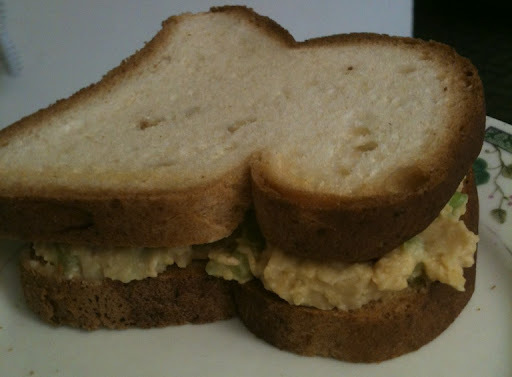 It was made with an avocado, so it was very creamy and satisfying. When I took my first bite the avocado really stood out, but as I continued to eat it I really loved the taste. In fact, I could have eaten another one. 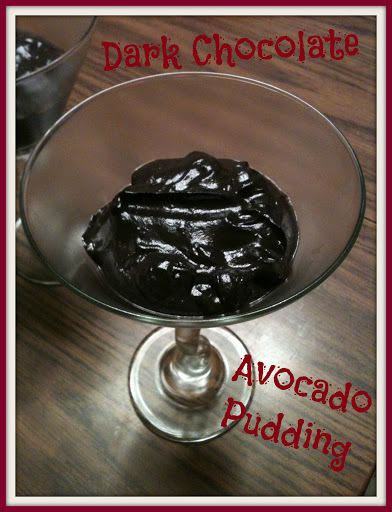 Here’s the recipe I followed, but there are so many different ways to include an avocado into chocolate pudding so play around with the recipe and see what you like. Update: I made this pudding again only this time I made Dark Chocolate Avocado Pudding using dark cocoa powder. Wow! I love the dark chocolate and it was super dark! 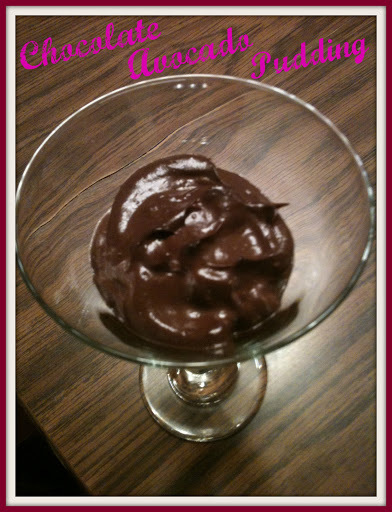 I’ve also made a third version of this pudding: Chocolate Banana Avocado Pudding! Based on the ingredients using Chatfield’s Cocoa Powder and original Silk PureAlmond Milk, 1 serving yields approximately 290 calories and 5g protein. I was in the mood for a quick and filling breakfast and I thought muffins would be perfect. 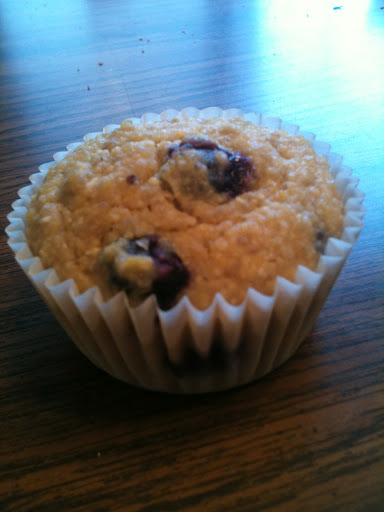 I had some blueberries so searched around online for a blueberry muffin recipe that sounded sweet enough to be tasty, but healthy enough for breakfast. Preheat oven to 375F. Grease a muffin tray or line with muffin cups. In a medium bowl, mix together yellow corn grits, brown rice flour, baking powder, baking soda, and salt. In a separate bowl, whisk together cooked quinoa, maple syrup, almond milk, applesauce, lemon juice, and oil. Add the wet mixture to the dry ingredients and stir until just combined. Fold in blueberries. Spoon batter into muffin tin and bake for 20 minutes. 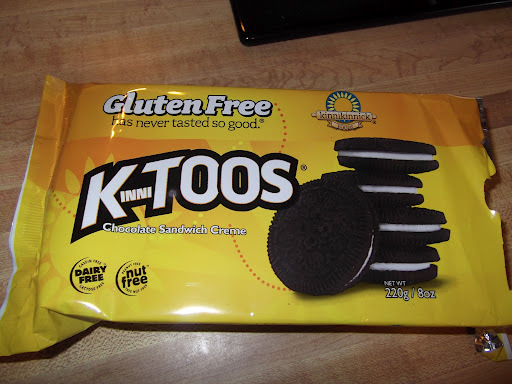 These are so good I can eat two. And since they are high in nutrition, having two is perfectly fine! 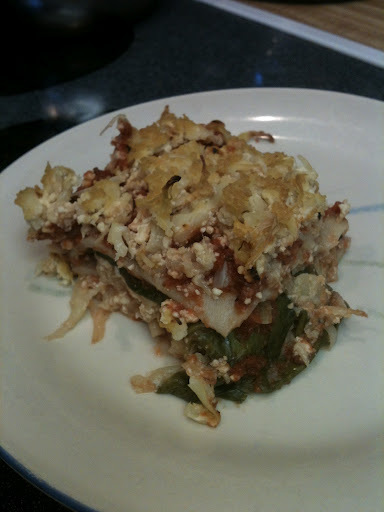 This is a recipe I made for dinner this past Sunday night. 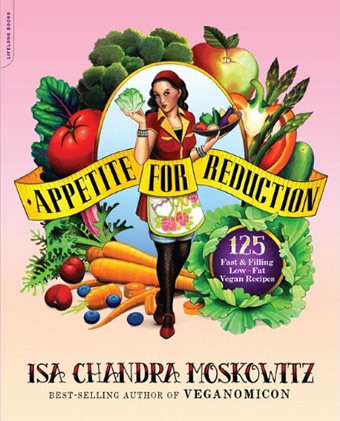 This recipe is adapted from the book “Appetite for Reduction” by Isa Chandra Moskowitz. Preheat oven to 400F. 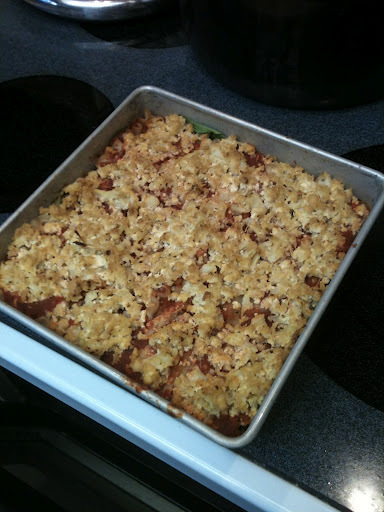 Place prepared cauliflower on greased baking sheet. Drizzle olive oil on top and sprinkle with salt. Toss with hands to make sure everything is evenly coated. Bake for 10 minutes, flip with a spatula, continue to bake for 15-20 minutes or until lightly browned and tender. While that is baking, crumble tofu into a mixing bowl with your hands to mash the tofu into the consistency of ricotta cheese. Add nutritional yeast, lemon juice, pepper, and salt. Mix well with a fork. When the cauliflower is done, add it to the mixing bowl with the tofu. Use a potato masher to mash everything together really well and set aside. To prepare the sauce, mix all the sauce ingredients together and set aside. Bake for 40 minutes, until the top is browned. Note: After the cauliflower is done baking, just lower the oven to 350F so it is already preheated for the lasagna to bake. This is also the time to begin cooking the lasagna noodles according to the directions on the package. This is a bit time consuming, but definitely worth making on a weekend. Marinate tofu in Bragg’s Liquid Aminos for an hour. Bake in oven for 20 minutes on greased baking sheet. Flip tofu squares and cover with the remaining marinade from earlier. Bake an additional 10 minutes. 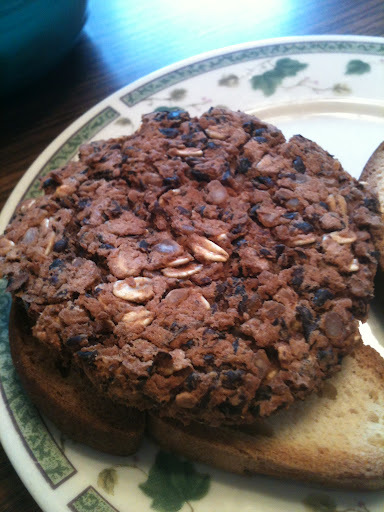 In a blender, add all ingredients, except crushed cookies, and blend until smooth. Assemble the parfait by layering cookie crumbles and pudding. Chill in fridge for at least an hour before eating so the pudding firms up. In a small bowl, mix together the rest of the ingredients. Stuff the pepper and cook for about 20 minutes or until tender. 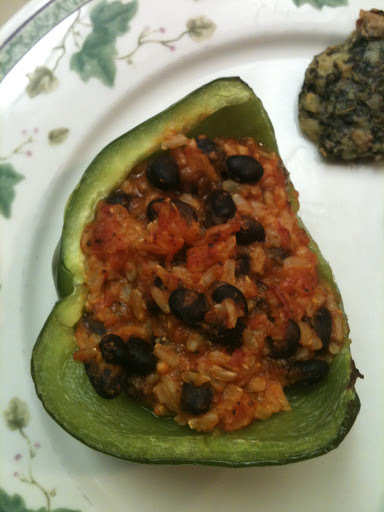 This recipe makes one stuffed bell pepper. 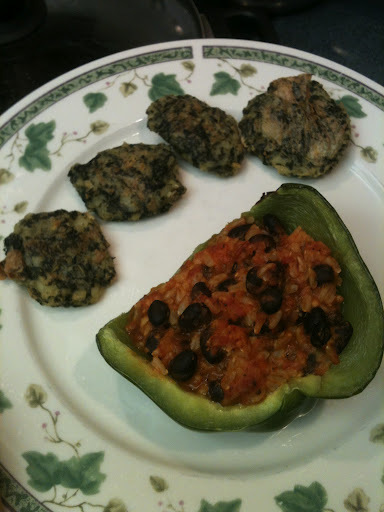 You can add more rice, beans, sauce, seasonings, or other veggies depending how you want your bell pepper to taste. Cut the potatoes into small cubes (about 1/2-inch), put them in a large pot, and cover with water. Bring to a boil and cook until potatoes are tender. While the potatoes are cooking, remove the center stalk from the kale and slice the leaves into strips. When the potatoes are done, lift them out with a slotted spoon and place in a large mixing bowl. Put the kale into the potato water and cook for 6 minutes or until kale is tender. Remove kale with a slotted spoon to a food processor. Add 1/4 cup of the cooking liquid and pulse to chop fine. Preheat oven to 425 F. Mash the potatoes and add the kale and all remaining ingredients. Stir well. 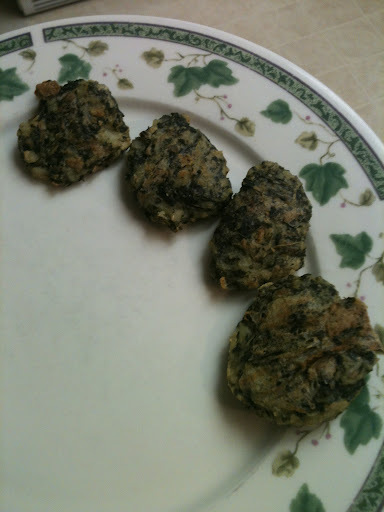 Using a well-rounded tablespoon, form into balls about 1 inch across. Place them on an oiled baking sheet or, preferably, a baking sheet covered with a silicone mat or parchment paper. Bake for 20 minutes. Carefully turn over and bake fore 20 minutes more, until lightly browned. I’ll post the recipe for the stuffed pepper tomorrow! For Sunday dinner I decided to try a new recipe. 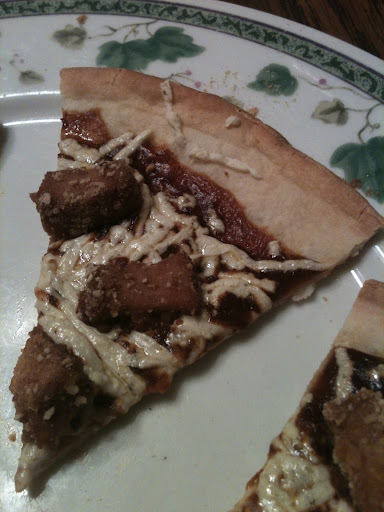 I made a few minimal changes to the original recipe. Preheat oven to 400. Pierce a spaghetti squash 8-10 times with a skewer or thin knife (pierce deeply through flesh into center). Place on a baking sheet on center rack of oven. Bake for 30 minutes and then turn 1/4 turn. Bake another 30 minutes or until outside has browned in places and shell feels soft. Remove from oven and set aside until cool enough to handle. Once it’s cool, cut it in half and remove and discard the seeds and scrape the strands of squash out with a fork. Put the squash into a bowl and set aside. While the squash is cooking, prepare the brussel sprouts. Trim and discard the ends and cut the sprouts in half (quarter larger sprouts). Place on a baking sheet and cover lossely with a sheet of aluminum foil to prevent burning. When the squash has almost finished cooking, put the sprouts into the oven and bake for 15 minutes. In a large, deep, non-stick skillet, cook the onions on medium-high heat until they become golden, about 5-6 minutes. Add the brussel sprouts, garlic, and vegetable broth and cover tightly. Cook for 3-5 minutes, adding more broth or water if skillet becomes dry. Add the chickpeas and seasoning. 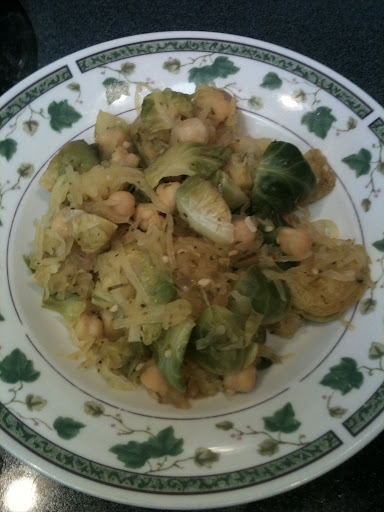 Stir in the spaghetti squash and toss gently to mix. Cook until heated through. Add lemon juice and pepper to taste. 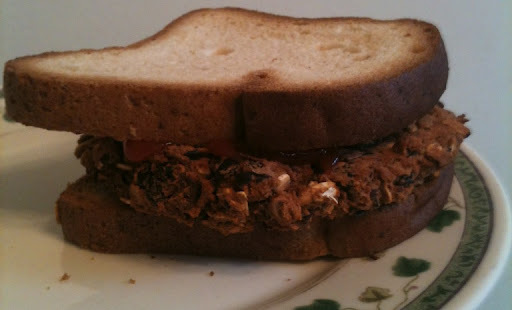 I also topped my meal with nutrional yeast which gave it an additional great flavor. This meal was so tasty, my mom and I both went back for seconds!